It used to be the case that if you wanted to demonstrate the power of anchor text in Google’s algorithm, you pointed someone at an example of a Google Bomb. Now that Google have altered their algorithm it’s hard to find good examples of link text’s importance. Having said that, RishiL’s recent example of Google Caffeine ranking for Caffeine, almost exclusively on the power of anchor text, illustrates just how important it still is. 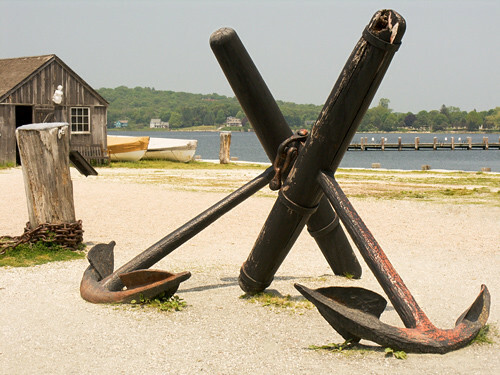 But as link building becomes more about content than link requests, how can you get the anchor text you want without even asking for it? When writing link bait (or as I prefer to call it, ‘link worthy content’) titles are of huge importance, grabbing attention, getting click-throughs from social sites and encouraging people to read on. But don’t forget; the title will become the default anchor text people will use to link to the content, so try to ensure the keywords you want to target are in there. It may seems obvious, but you’d be surprised how many great pieces of link bait I see with great titles in every other respect other than their potential anchor text. You knew that already right? Someone linking to your site will quite likely use the domain of the site as the anchor text – that’s a big part of the reason generic domains are so valuable. If you haven’t got your keywords in your domain you might want to consider the bait and switch. This is where you build a site, attract links to it, take the site down and re-direct the links to your main site. It’s not ideal for everyone, but if you’re struggling to get links to your main domain, and when you do manage to get a link the anchor text is terrible, it’s certainly worth thinking about a bait and switch. If you are sending a link request but don’t want to outright request specific anchor text because you think it might put off the link prospect, try subtly mentioning the keywords a couple of times within the email to make sure the linker associates the website with those terms. I’m contacting you on behald of ACME INC, who are the the UK’s largest supplier of superduper widgets. We’re doing some promotional work for their website and came across your page where you’ve got links to some of the other suppliers who make and sell super duper widgets. I was wondering whether it might be possible to link to ACME INC’s website on this page? It’ll be useful to your readers and hopefully help them find what they are looking for a little easier. Let me know if that’s okay or if there’s any other ways ACME INC might be able to work with your website. I was concerned about not having keywords in my URL so I set up another domain with the keywords with the intent of redirecting. I wouldn’t suggest it – Google tied to two together somehow and split my links. I ended up taking it totally down. Putting the keywords in the title like you mentioned is so basic and simple yet so very effective. Also I don’t think there is anything wrong with asking someone to change the link achor text to something more SEO friendly. For example if someone were to link to my site. http://sem-group.net using just the domain name, I might email them and ask them to change it to something like Search Engine Marketing Group. Care should be taken to prevent too many links from having the “perfect” anchor text. Since the organic nature of linking to websites will include a number of variations of text anchors, if the overwhelming majority of your text anchor is the same, it could be seen as spamming by the search engines. I should agree with gerald, this strategy intends to be simple and basic but is proven to be a work of art. It just needs to be done properly otherwise search engines might take it against you.